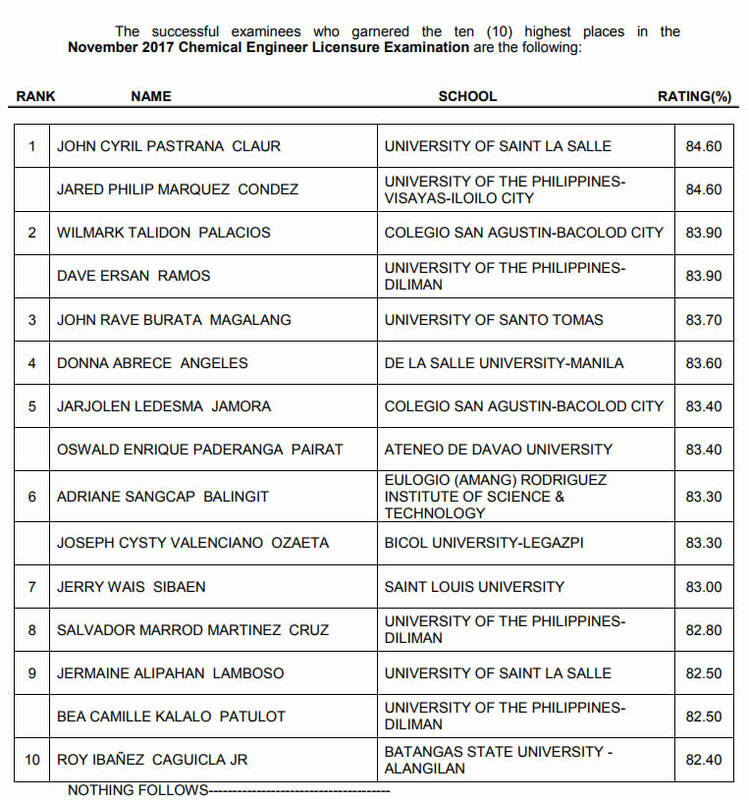 The information below contains the list of all the successful examinees who topped the November 2017 Chemical Engineer Licensure Examination. Congratulations to the newest chemical engineers of our country. God bless and more power to all of you. Please refer to the list below for more details about the topnotchers.